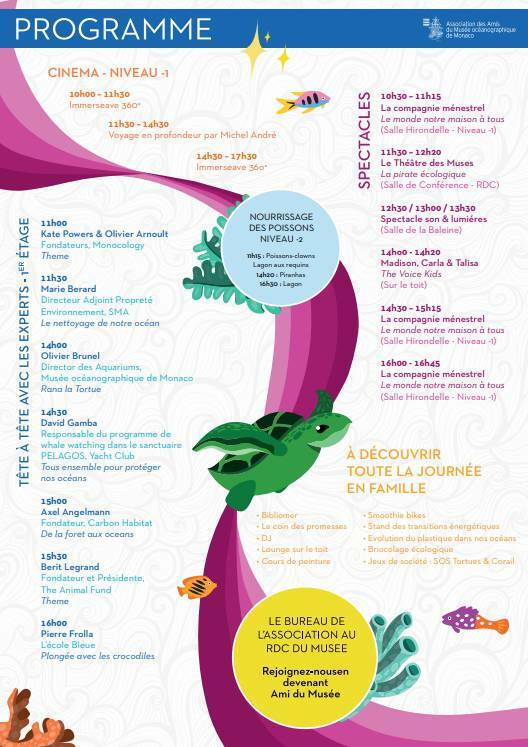 "The Odyssey of Marine Turtles"
Oceanographic Museum of Monaco is arranging a preview of their brand new tour “The Odyssey of Marine Turtles”on April 25 at 11:30 am. From their life cycle to the threats that weigh on their existence, from the magic of spawning to the actions carried out for their preservation, the great adventure of turtles is told in a new permanent space of 550m2 open-air, made in the extension of the Museum. At the heart of this new space, the Monaco Marine Species Care Center (CMSEM) allows the management of sick or injured specimens. High point of the course, a rehabilitation pool of 160m3 to accommodate turtles treated before their return to the sea. To accompany this launch, the theme “turtles” continues in the Museum through a temporary exhibition combining art, educational activities for the youngest, scientific collections and natural history. And to the general public “The Odyssey of Marine Turtles” will open its doors on April 27, as part of the 1st edition of the “Festival of the Museum”.